Bought directly from Sowter and used briefly for my diy audio DAC project. The product suit for 2A3, 300B, EL156, KT88, FU13 ( for single tube or a pair of tubes ). 300B Tube Amplifier. Hi-Fi Tube Amplifier. Integrated Amplifier. Digital Amplifier. Headphone Amplifier. AV Tube Integrated Amplifier. (There are No 120Vac inputs on this model!). I’m unsure of the values. Nice looking collection. Why Toroidal Design?. It was designed for both applications - in new ribbon mic DIY projects and existing budget ribbon microphone modding. RTP-28 is a premium quality component with excellent sonic properties. Secondary 4, 8, & 16 ohm. 15 watt SE. upgrade to 125A35A, 125A3A, 022905. We think it dates from the 1960s, but this is our best guess. 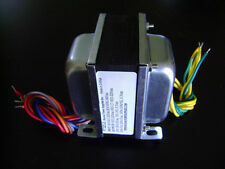 GARDNERS STEP-UP TRANSFORMER. 6.3V - 50V, 100MA. IDEAL VALVE AMP PROJECT. Secondary's : 50V 100MA. Ideal for use in valve amplifier projects. Primary: 6.3V / Screen. Application： suitable for6V6, EL84, KT66,6L6 single-ended and push-pull；Tube buffer. Finished Speaker. assembled board. Assembled board. assmbled board. Power Cable. PC filtering part. In order to provide you the best service. Application： suitable for45,2A3,EL34,KT66 single-ended;tube Rectifier. EL34 Tube Amplifier. Hi-Fi Tube Amplifier. AV Tube Integrated Amplifier. Audio HiFi & DIY. Tube Amplifier DIY Kit. Tube Headphone Amplifier. I have been servicing Onkyo units for a while. With years I've developed deep respect toward Onkyo gear. It is a pity to see how many units are suffering from always failing incandescent bulbs! How much money is wasted for services to replace those incandescent bulbs over and over again! I've no idea about exact purpose. Sold as shown. Inductance: 10H. Current (I DC): 300mA. STYLE: Horizontal. DC Resistance: 56 ohm. assembled board. Assembled board. assmbled board. In order to provide you the best service. 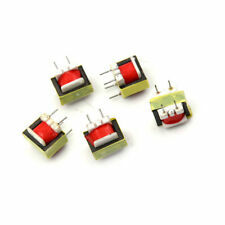 Application: 6H30P, 6H6, 5842, WE417 Low resistance transistor & 300B,2A3,805,845 Power Tube. Primary impedance : 5K. Size : 19 30mm. Secondary impedance : 6.6K. DAC / Audio Decoder. Hi-Fi Tube Amplifier. Integrated Amplifier. Digital Amplifier. Headphone Amplifier. AV Tube Integrated Amplifier. Tube Amplifier DIY Kit. Tube Headphone Amplifier. Application：Suit for 300B、6550、EL34、KT88Single-ended tube amplifier. EL34 Tube Amplifier. 300B Tube Amplifier. Finished Speaker. assembled board. Assembled board. assmbled board. Completed in case. Great for ultimate tube project. Heavy item. Check actual photos for details. 14-15(16) 5(6.3)V 8.0A. Audio Signal Switcher. Speaker Frequency Divider. Nobsound®——Dou​k Audio. DAC / Audio Decoder. Bluetooth Audio Devices. Audio Accessories. Application： Suitable for signal input. Nobsound®——Douk Audio. Hi-Fi Tube Amplifier. AV Tube Integrated Amplifier. Tube Headphone Amplifier. Tube Pre-Amplifier. EL34 Tube Amplifier. 300B Tube Amplifier. KT88/KT66 Tube Amplifier. 6P3P/6P1 Tube Amplifier. 600 / 150 primary and 60000 secondary so it's good for a tube preamp mic or line input. Made in 1952 good order. Valve in picture just to show size. good working order. Example of tubes to use: 211, 845, DA60, DA100, RV258, RV239, RS282, RS291, GM70 & e.t.c. Size is important factor, if you would like hearing low non-distortional bass from your tube amp. These are capable transfer power more close to low end of musical diapason. The core construction reduces distortion and reduces the stray magnetic field. 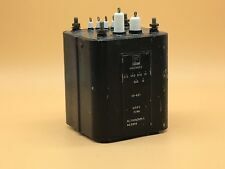 UL94-HB (minimum)Temperature class B ( 130Â°C) minimum19 H total primary inductance at 1 kHz85.7 mH total secondary inductance at 1 kHzIsolation of primary to secondary is 1 kVrms for 2 seconds. Size is important factor, if you would like hearing low non-distortional bass from your tube amp. These are capable transfer power more close to low end of musical diapason. Potential tube plate current 150 mA, up to 220 mA MAX;. I've no data for these. Size is important factor, if you would like hearing low non-distortional bass from your tube amp. These are capable transfer power more close to low end of musical diapason. Potential tube plate current up to 130 mA; nominal current 80mA;. Size is important factor, if you would like hearing low non-distortional bass from your tube amp. These are capable transfer power more close to low end of musical diapason. Potential tube plate current up to 120 mA; nominal current 70mA;. Application： suitable for 300B, 2A3 single-ended and push-pull ；tubeRectifier. 300B Tube Amplifier. Finished Speaker. assembled board. Assembled board. assmbled board. Power Cable. PC filtering part. Index of protection: waterproof IP68. Power: 30w. For feeding accessories and type up to 30 W AC 12V lighting. Output: 12v AC. Pre-wiring: 180 cm. Indoor and outdoor use. Build in the KSG 625 mixing console. gardners transformer. Condition is Used. Dispatched with Royal Mail 1st Class. PAIR OF MARCONI TRANSFORMERS. TYPES TM1296C TM1296D. Typical inductance is 6 H at 1000Hz, 1VHi-pot, primary to secondary is 2 kVrMS for 2 seconds45 mA maximum DC in primary. Inductance: 0.1H. DC Resistance: 1.7Ohm. Condition is Used. Continuity of windings has been checked, no shorts. Specifications: AC 220V TO 110V. Frequency characteristics: low frequency. The winding is self coupling, the product quality is excellent, and it is very durable. Rated power: 200W. Power phase number: single phase.